My mom frequently reminds me that no matter what your age is, skin tone or skin type, skin care is one the most important components of natural beauty. Aside from preparing and serving nutritious food, keeping the home clean, and keeping the family fit, we should not forget to take care of the family’s skin not just to look good but to bring and keep up with an overall health. All these years, Cetaphil has become a part of our family’s skin care regimen. The skin product I trust in tackling skin issues from diaper rashes, acne problems to dry skin. For over 60 years, it has been tried, tested and recommended by both dermatologists and pediatricians worldwide. 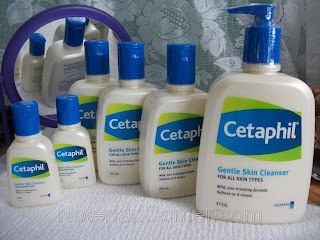 Although I sometimes try other skin cleansers and moisturizers, I always get back to using Cetaphil for our family’s use. 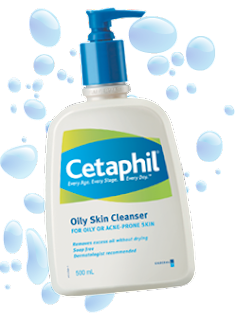 As Cetaphil works for all skin types and ages, it is safe to use even for sensitive skin. Here is how it helps and works in taking good care of our family’s skin. I used the Cetaphil Gentle Cleanser for my children’s daily cleansing needs when they were still infants as it is soap-free, fragrance-free and non-irritating. I also use it for my facial wash as it retains needed moisture and non-drying too. For hands-on moms like me doing the laundry, washing the dishes and cleaning the house, frequently using detergents and cleaning agents can definitely harm the skin, to protect my hands and feet from drying I use the Cetaphil Daily Advance Ultra Hydrating Lotion with ERC5. To keep my husband’s face and mine looking as youthful as possible, we properly cleanse and moisturize our face with the Gentle Cleanser and Daily Facial Moisturizer. My teenager son, Yahmir and eldest son, JM use the Cetaphil Oily Skin Cleanser, a hypo-allergenic cleaning agent recommended by our dermatologist to deeply remove facial oil without stripping the skin nor clogging the pores to minimize sebum levels to prevent acne breakout and reduce blackheads. Finding a good skin cleanser and avoiding fragrant bar soaps which may tend to dry out the skin and cause allergies can keep your skin healthy, glowing and beautifully radiant. My family is happy and contented with my brand of choice. What about you, what skin care product do you use? I also use Cetaphil as my skin is really sensitive and it has helped me maintain good and clear skin. Never tried this brand but some of my relatives used Cetaphil. I cannot apply any other products on my skin because of its sensitivity due to skin asthma. 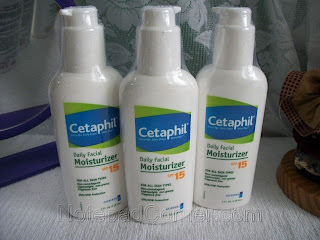 Our family use Cetaphil and it really works for our sensitive skin.. I agree!! 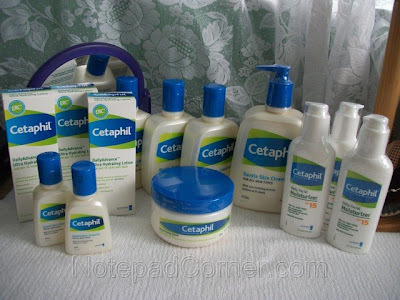 I have been using cetaphil since my teenage years. Haha! And I love it. Though, I tried something else, i always end up buying cetaphil again. 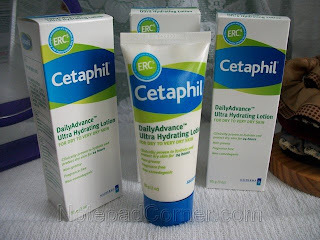 During my high school years, I was really pimple infested and my dermatologist recommended me to use Cetaphil regularly ^_^ Useful skin product with noticeable effects.